But first emotional testimony in the sentencing hearing for a former Chicago police officer convicted of murder for shooting 17-year-old laquan McDonald. All of that emotion spread outside of the courtroom with protesters yelling at Jason van Dyke's family. That was after his sentence was handed down. ABC's Alex Perez has the story now from Chicago. 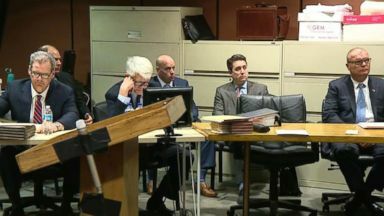 Reporter: Van Dyke learning his fate in a Chicago courtroom. An appropriate sentence would be 81 months in the Illinois department of corrections. 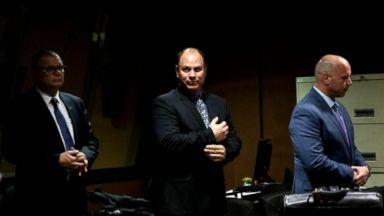 Reporter: A nearly seven-year prison sentence for the former police officer who was convicted of second degree murder back in October after killing 17-year-old laquan McDonald. The 2014 incident on police dash cam happened when he responded to a call for a person break nothing cars. It shows the cop shooting the teen 16 times as he appears to be walking away with a three-inch knife in his hand sparking months long protest. During the trial Van Dyke rebuked prosecutors' allegations of racism testifying he believed McDonald was lunging at him with the knife. I was yelling at him drop the knife. I yelled it I don't know how many times. Reporter: Laquan McDonald's uncle delivering a message to the former cop on Friday in the voice of his dead nephew. Why should this person who has ended my life forever be free when I'm dead forever. Reporter: Van Dyke's wife also taking the stand pleading for leniency. There was no malice, no hatred. It was simply a man doing his job. Reporter: Van Dyke the final person to speak before the judge's decision. The last thing I ever wanted to do especially October 20th, 2014 was to shoot laquan McDonald. Reporter: Van Dyke's attorney who asked the judge to sentence him only to probation says his client accepts the decision. He's certainly not happy about going to jail. He's certainly not happy about missing his family but he's happy about the prospect of life ahead of him. 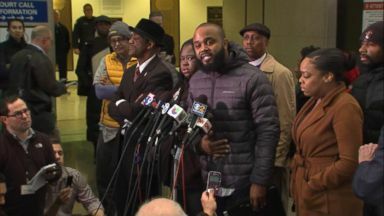 The McDonald family says the sentencing is not just about laquan. This case represents a victory for all of the families across this country that have never gotten justice. Reporter: Alex Perez, ABC news, Chicago. And Van Dyke's attorney has said he will appeal this case. 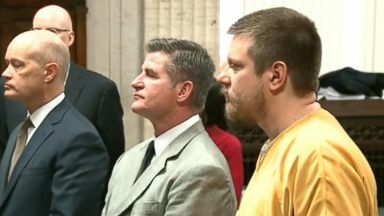 Former Chicago police officer Jason Van Dyke is set to be sentenced Friday for the shooting death of African-American teen Laquan McDonald.